We’ve selected what we feel are the key examples of Utrecht Architecture. We cover completed Utrecht buildings, new building designs and architecture competitions across Utrecht and the Netherlands. The focus is on contemporary Dutch buildings. We have 2 pages of Utrecht Architecture selections. A new narrative based light installation called ‘in lumine tuo…’ designed by UK design firm Speirs + Major was unveiled on Thursday 11 April, in Utrecht. Her Majesty Queen Beatrix, accompanied by His Highness Prince of Orange, Willem Alexander and Her Highness Princess Maxima, officially opened the celebrations for the tri-centenary of the Treaty of Utrecht by turning on the unique lighting installation that sets out to connect the iconic Dom Tower with the Dom Church and Dom Square. The piece is intended as both as a centrepiece for the city and as a fitting culmination to the ‘Trajectum Lumen’ initiative, a trail of artistic illumination that winds its way through the city centre every evening on the hour. This building is a sports hall dedicated to Gymnastics. It will not be used for any other sports. Four clubs combine efforts in this new facility. It is the 3rd and probably last building in the redevelopment of the sports complex in the center of Utrecht called Nieuw Welgelegen. The brief excluded the possibility of creating windows in the hall. This turns out to be the main dilemma for this type of facility. Jaarbeurs Utrecht is taking its first steps in building a new Entrance in collaboration with Liong Lie architects. With the development of a wonderful new space, named the Galaxy and a new Entrance, the Jaarbeurs gets an innovative and contemporary appearance. With the aim to create a sustainable society Liong Lie architects believe in creating unique places. Places that have an attractive force on people, places that deliver memorable experiences and create a big social and economical boost. Friday, 27 April, marks the ground breaking celebration for the new Anne Frank School in Utrecht, the Netherlands. In addition to the primary school, the 2,600 m² building will feature a gymnasium, child care and preschool education. The 200 students will move into their new school at the end of 2012. The building’s horizontal, glazed profile creates an elegant, light school. Cantilevers serve to block direct sunlight from entering the building. 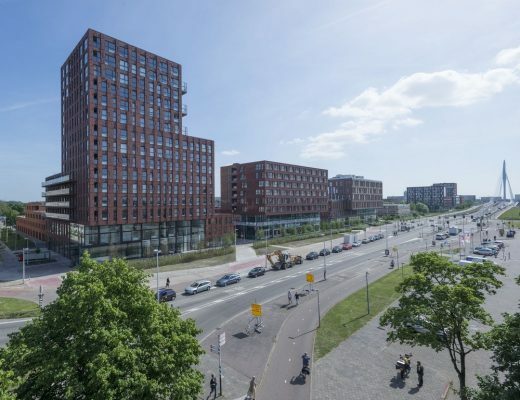 The design has been developed by KCAP Architects&Planners in cooperation with Studio SK and Ingenieursbureau Utrecht for the Municipality of Utrecht, the University of Utrecht, Utrecht Medical Centre (UMC) and the Hogeschool Utrecht. 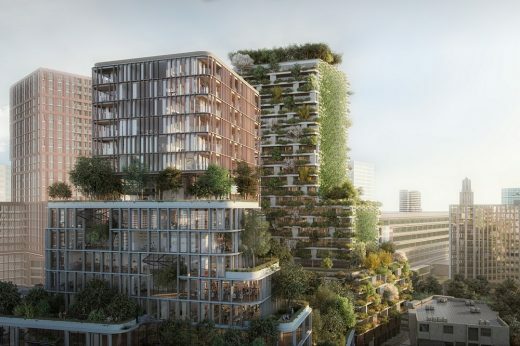 With its 2.000 parking spaces P+R De Uithof will be the largest parking garage of Utrecht. Completion is planned in 2013.